Addressing the engineering and operational requirements for the railway. Co-ordination with multiple authorities, two local councils, Melbourne Water, and numerous road and rail authorities. Extensive consultation with the local community, and environmental and recreational group. ­ creating a design aesthetic for the whole project. 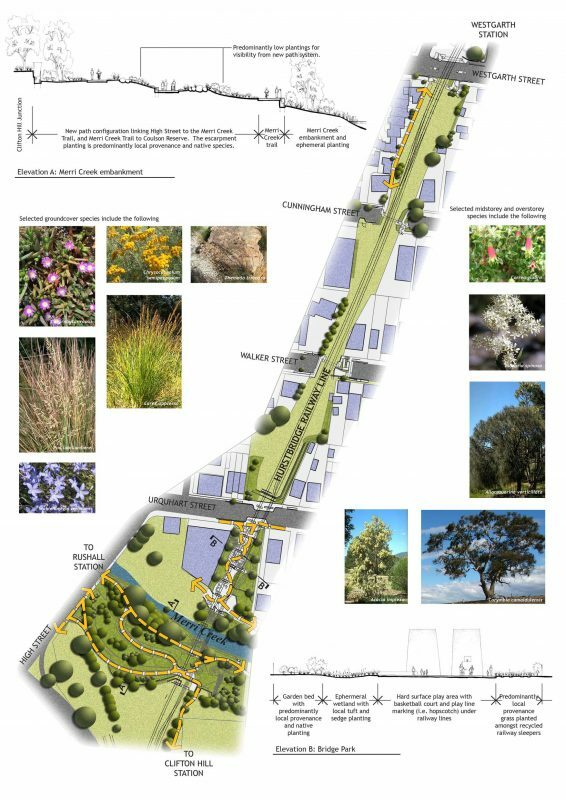 ­ managing impacts on the Merri Creek corridor including visual impact, recreational trails, natural values, flood flows. 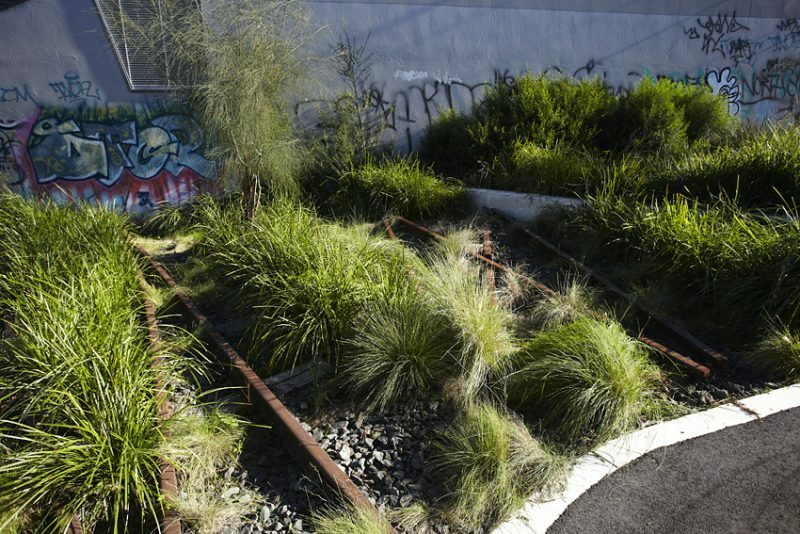 ­ restoration of the indigenous creek vegetation and environment, dealing with runoff. 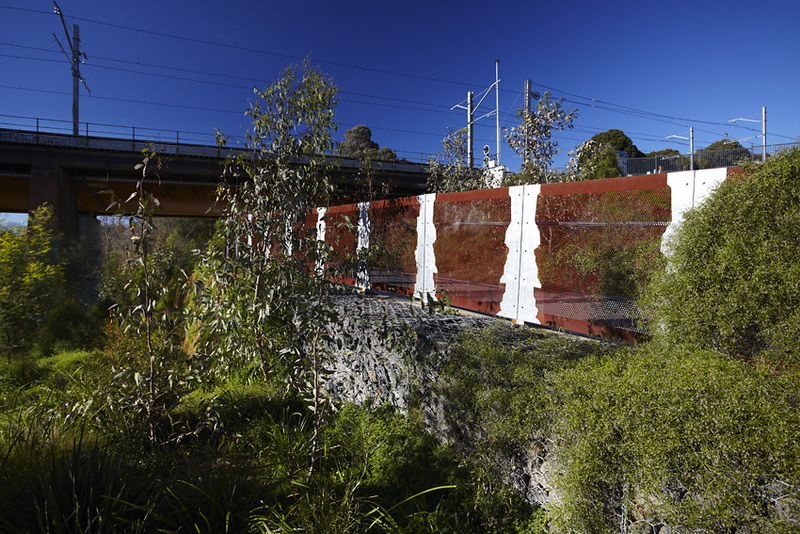 ­ protection of Aboriginal and non indigenous heritage values (original bridge is heritage listed). 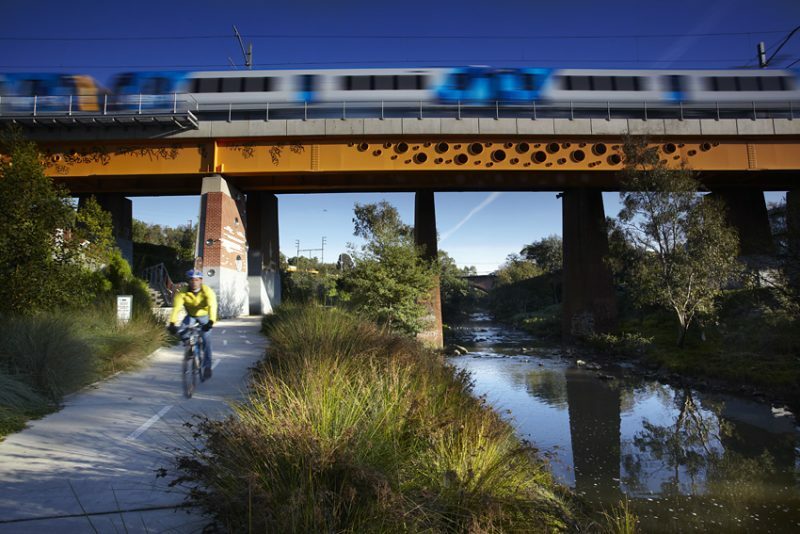 ­ functional and amenity considerations such as pedestrian and cycle routes, design of the interface between the railway and local streets, fully accessible pedestrian crossings over the tracks, viewpoints, safety & sightlines; cycleway signage. 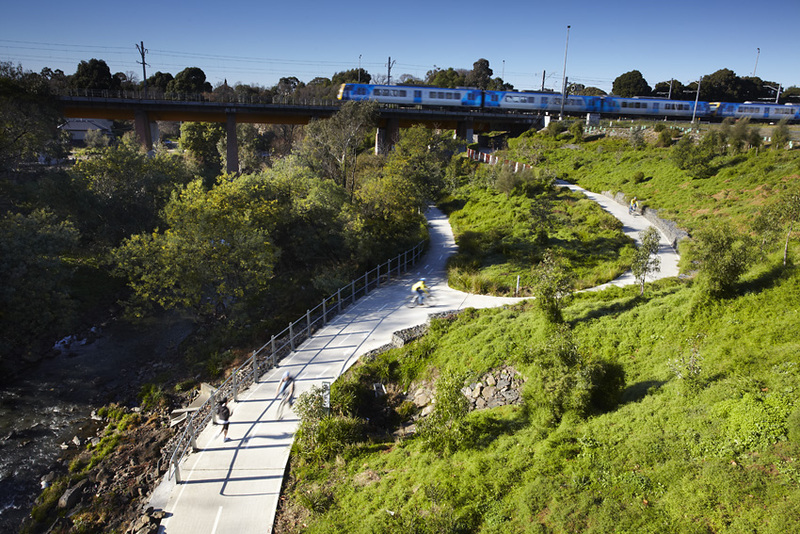 ­ design of a complex intersection on the capital city bike path up a steep slope. 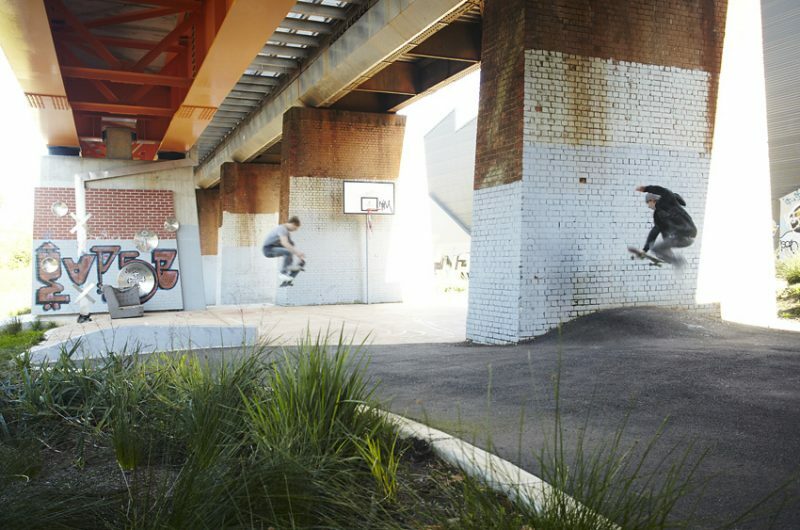 ­ advocacy for open space and design of a new small park under the bridge (Bridge Park). ­ temporary re-routing of cycle networks, and creation of works plans to ensure runoff and the impact of site works were minimised during construction.